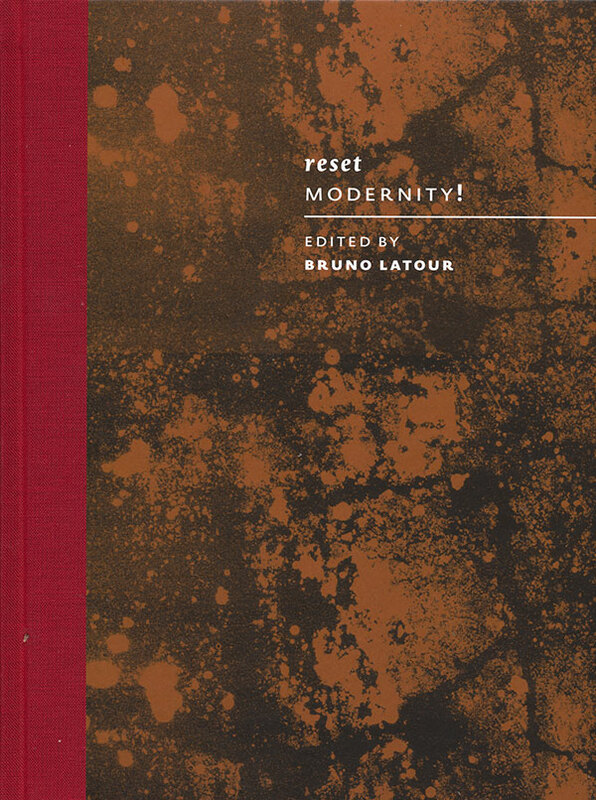 Edited by Bruno Latour, Christophe Leclercq – Reset Modernity! In computing, the definition of “reset” is to “bring a system to normal condition or initial state”. As a concept it is connected to the act of “rebooting.” Reset Modernity is another ZKM-based “thought exhibition” (after Iconoclasm and Making Things Public) whose companion is this thick anthology of texts. The six sections have been renamed “procedures”, reflecting the exhibition modules. In the context of slowly progressing ecological disasters, these procedures reflect different crucial cultural areas (such as art, morality, laboratories, politics, technology and so on) where we must reset our attitudes to interpret and decode reality. One of those procedures is appropriately titled “Innovation not Hype”, with intriguing material for a reconfiguration of technology’s mission from the “object” to the “project”. So too, one of the proposed methodologies is the “diplomatic encounter”, describing meetings meant to collectively renegotiate philosophical values. Latour put this methodology into practice when he staged “Théâtre des négociations”, a real life alternative climate conference during Cop21. As Donato Ricci (who also co-curated the exhibition and beautifully designed the whole publication) says in his contribution, reset is “a long, calm, patient, and puzzling procedure”. Better start familiarising ourselves with these processes as a crucial way to gain back a shared confidence.